There are numerous situations where it is either convenient or vital for a door to shut automatically – kitchen cabinet doors and ER doors in hospitals, to name only two. Auto-shut doors are equipped with spring-loaded hinges which can be adjusted with varying degrees of tension to ‘tailor-fit’ the need. Fire-resistant service doors that open to garages are another example of doors embedded with spring-loaded hinges where the self-closing feature offers added protection against fire. In fact, in most areas, it is now code that the entry door to an attached garage be ‘fire-rated’ and possess a self-closing hinge or door closer. Though some homeowners might regard self-closing service doors with spring-loaded hinges as a hindrance, the truth is undeniable that these types of doors add an extra measure of safety if a fire were in progress. Let’s take a peek at a few more ways in which spring-loaded hinges are utilized. Do you have a door that creeps open on its own due to drafts, or a door that slams shut, closes too slowly, or does not close far enough? If so, spring-loaded hinges offer the perfect solution and relieve the aggravation associated with doors that refuse to ‘cooperate’. With some types of spring-loaded hardware, once the tension has been established, the placement of a special pin allows the door to close on its own, at just the right speed – no more frustration! Proactive safety is the name of the game regarding gates that lead to pool and hot-tub areas. Sadly, the Consumer Product Safety Commission’s disturbing statistic speaks for itself: 300 children, under the age of 5, drown in swimming pools each year. Fortunately, spring-hinged gates do save lives; and specialized hinges for use on gates that lead to water-entertainment areas must meet pool-safety codes. 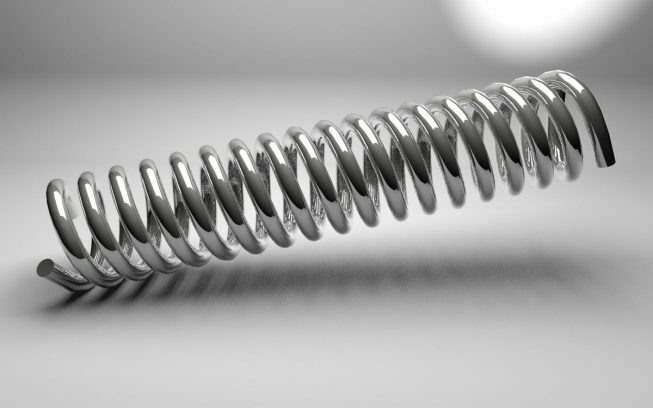 With some designs, an internal stainless-steel spring will easily adjust with a flat-head screwdriver. Gates and doors that lead to potentially-dangerous areas on one’s property should be equipped with spring-loaded hinges and latches as the first line of defense for ensuring maximized safety. Spring-loaded technology embraces some astounding devices. One device, in particular, involves the spring-loaded bionic knee-brace designed for athletes as well as for those who are recovering from knee injuries. Additionally, spring-hinges permit individuals who suffer from osteoarthritis ease of increased movement; and for those who have a physically-demanding job or, quite simply, wish to reach peak performance with everyday activities, bionic knee braces provide more fluid movement and strength than one could imagine! Yes, bionic knee braces are designed to provide the user, regardless of age, with optimally-enhanced endurance. The energy-storing spring-loaded hinges actually power the user’s leg muscles, allowing for better mobility and faster rehabilitation, when applicable. The brace is impressively comfortable and lightweight, with an adjustable force output. After it’s all said and done, spring-loaded hinges actuate functions by absorbing, storing, and releasing energy in an adjustable way – reducing fatigue and permitting one to work harder, play longer and do more than one would ever think, possible.